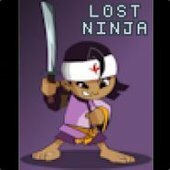 I would rely like to be able to place signs with (custom) texts and/or symbols. It would help with laying out routes and labeling storage locations for example. I think beacons could be perfect still, just give them more customization. Instead of just hold key/button to change color, open a menu with two changeable actions. One for colors (which adding more would be awesome!) and one for symbols/words. You could even add more by making categories of symbols; resources, structures, objects, compass directions; with each having their own sets of symbols. More customization on beacons sounds like a solid plan to me. Text and symbols can be shown as a little hologram floating above the beacon. When you want to use the beacon for directions you could point an arrow to a specific direction with maybe some custom text above the arrow. You can also choose to show a slowly turning hologram of a resource for marking storage or marking a deposit. The marker stays as it is now, if toggled on it is visible from a larger distance. The marker cannot be changed to text or other symbols. More options for beacons, yes please. 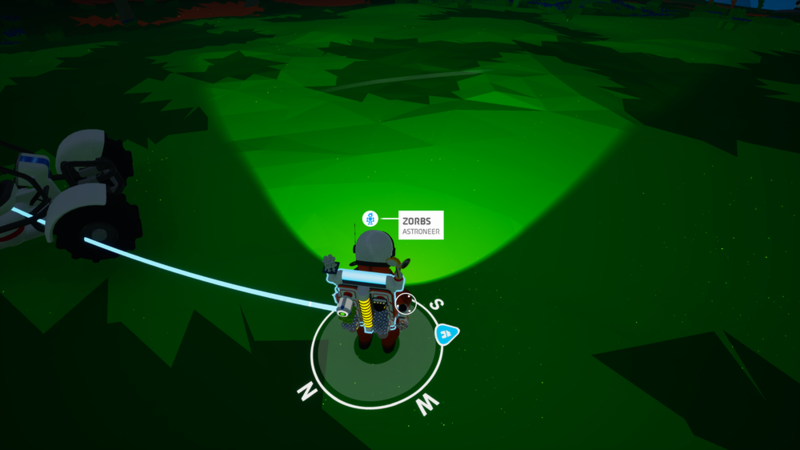 But non-Beacon signs too, if I want to place a sign indicating something like a storage location, place to park or a hidden resource I might not want to clutter up my distance view with excessive beacons. I'd really love a Placeable Pole with an arrow pointer on the top. You'd click the Terrain for the "Point" gesture/emote, then place a Pole Pointer and the Arrow on the Top would point where you just clicked. You can make a non-Beacon sign if you would turn off the marker and use the symbols for an arrow. Man, the more I think about this, the more I want to see this as a feature in game. I wanted to expand this post with The idea of Zorbsie. A marker on the compass to your home on the planet is an awesome idea. If you could have the option "Show on compass" or "set as home" in the settings of beacons seems to me as something that can be implemented. I included the image that Zorbsie added in his/her post. Can we take advantage of the fact that the game is supposed to take place a few hundred years into the future? Couldn't we have some type of hologram or computer screen or something that is futuristic and more along the lines of eye candy? Looking at a compass, 500 years into the future? I'm just not buying it. Can't there be some form of some sort of interactive type of navigation am I still expected to use 18th century technology like signs and beacons? Can't we expect more from a game that is supposed to take place in the future? Do you have something in mind for interactive navigation? I think my aversion is to the 'beacon' I like the other stuff you posted but I just don't want to see a stupid beacon floating. A hologram port that has a light beam coming out of the top or some other type of futuristic type communications device. Not signs and beacons. They are for pre-release. Now that the game is released we should be demanding more than just some lipstick on a pig. Either that, or I have a totally-inappropriate sense of humor. In related news... ooooooooohhhh. Pig lipstick, yeah! I don't play SATISFACTORY (thinking about it purchasing it) however, would a similar navigation system work in Astroneer? enough customization to at least add something like "home base" or "massive Resin deposit #1"
Man, I like the way you think (and post)! Spot on my new friend! I was thinking of having a 3-D hologram that is portable but doesn't take up space on your backpack, I was thinking of it being kind of based off of the Destiny ghost in how it can be accessed by even beginners and it would "appear out of nowhere" when the correct button was pressed of course. It would be a giant sphere that would be in front of you that you can manipulate and spin around that would show you your location and the location of your beacons with little icons projecting from the sphere. When you lay down a beacon, it would give you the chance to name it and change the color (and possibly the image) of the icon on the hologram. The name would show up only after you click the little icon on the hologram though. Certain options would come up as well, you could choose to disable the beacon on the real planet (not the hologram), set a a way point (in which something like zorbsie's compass would appear at your feet with the direction of the beacon as well as a marker on the real world kind of like what we have right now for beacons), or you can re-enable the beacon but not set a way point but instead just have the marker on the world again kind of like what we have right now for beacons. The beacons should be able to be seen through the terrain and clouds as well. That's what I would think of at least if it is meant to please people, unlike the current version of the beacons.